To take attendance on behalf of a particular Teacher admin has to follow this path Users >> Teacher Programs >> Take Attendance. Then it will give a search box. 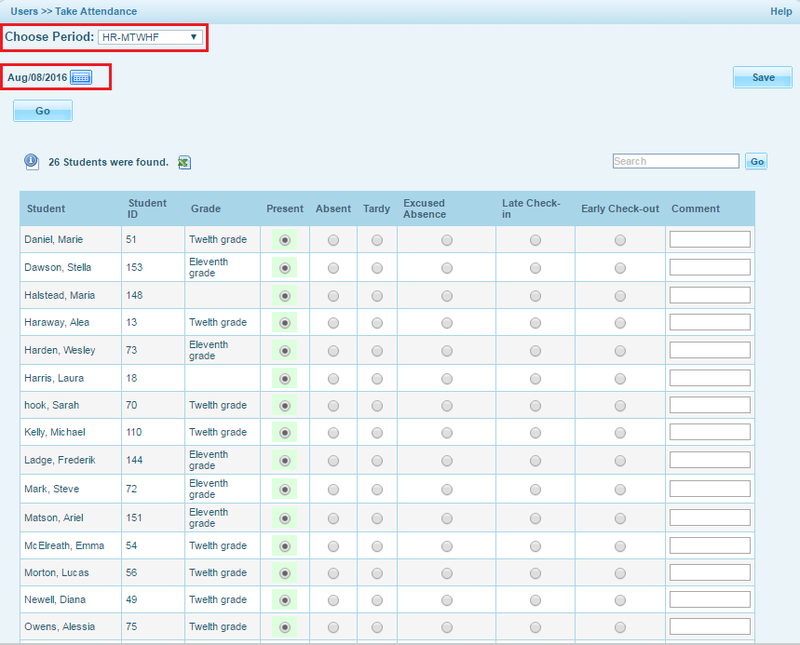 Search for the particular teacher with the criteria or do a blank search to get the list of teachers in the school. You will get a screen where from the top left hand corner you can select the Course Period and select the date for which he wants to take attendance. 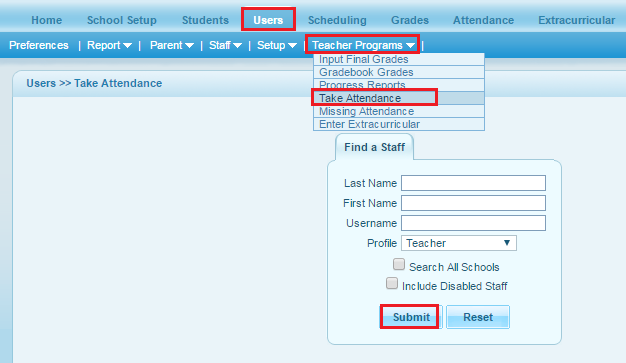 Now he can enter the attendance status for the students into the selected course period and click on save. If admin wants to take any other days attendance the date needs to be changed as per requirement and then attendance can be taken.